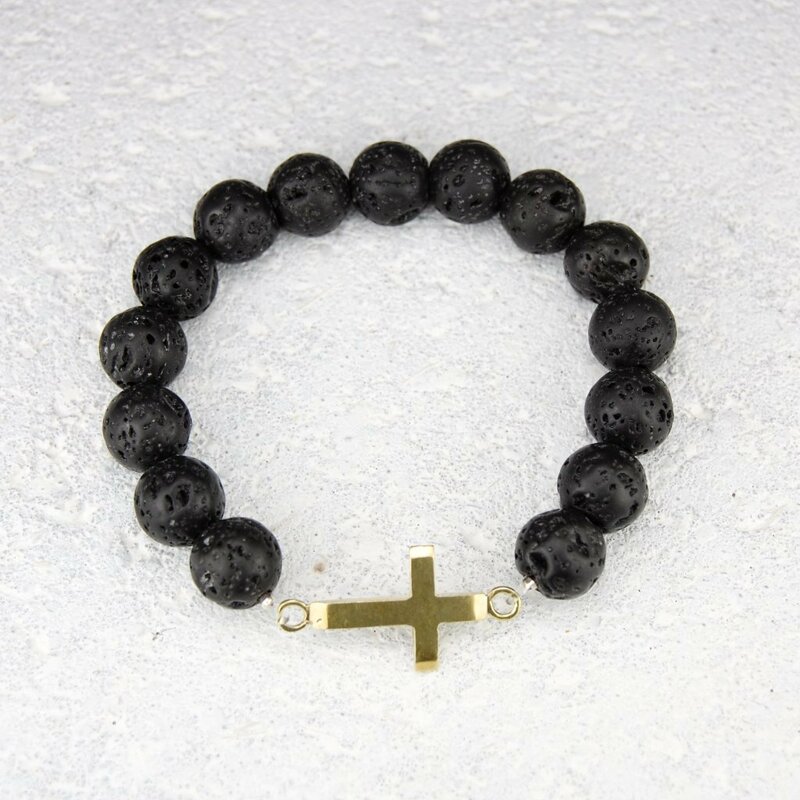 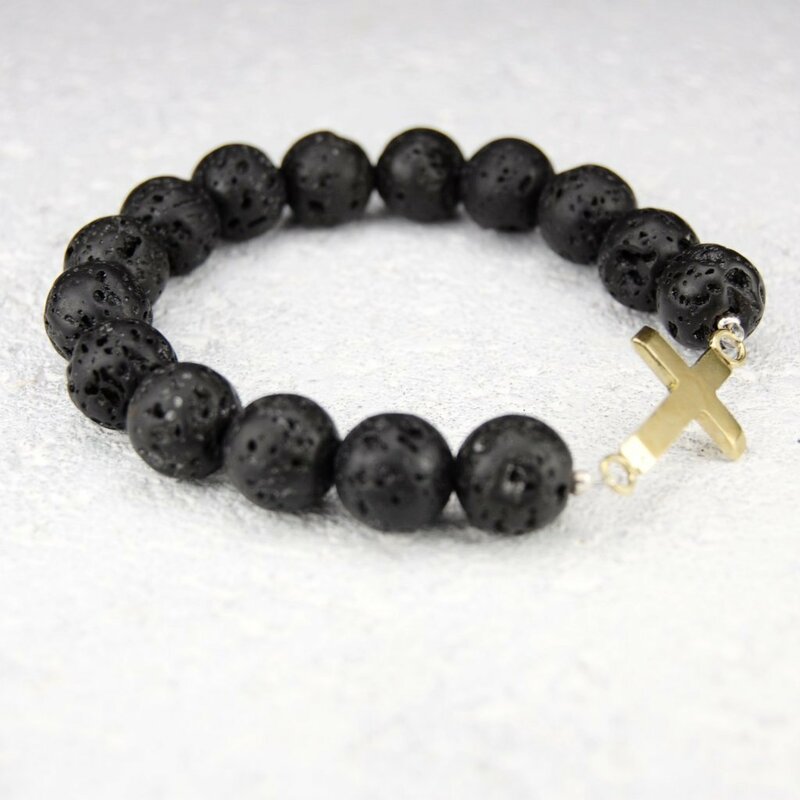 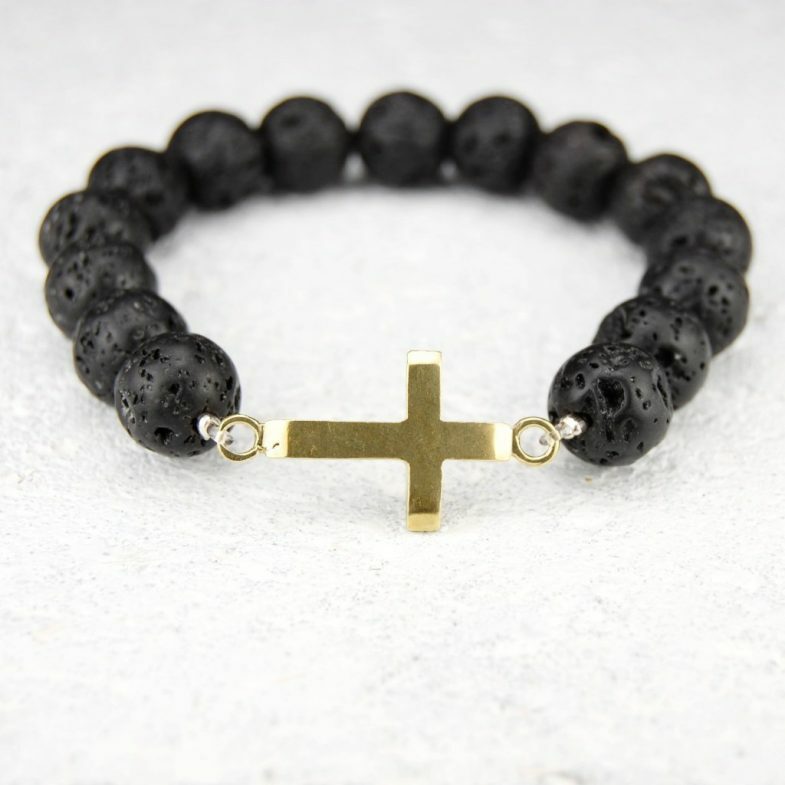 Lava bead bracelet featuring a brass cross charm. 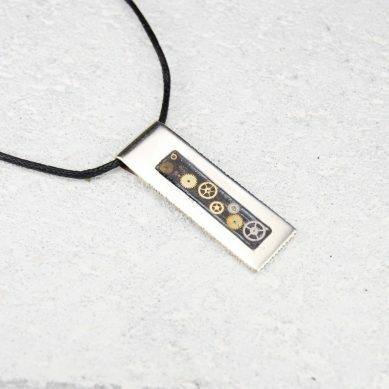 If you would like a different measurement than listed, please make a note when placing the order. 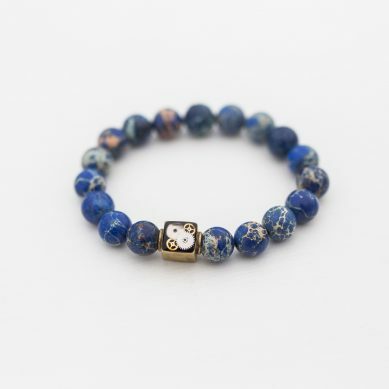 *Gear pattern in the bead will vary from bracelet to bracelet.